Contents: Part One Introduction: Introduction: some basics. Part Two Big Picture: Strategic learning; A learning business. Part Three Good Learning: Capability and wisdom; Holism. 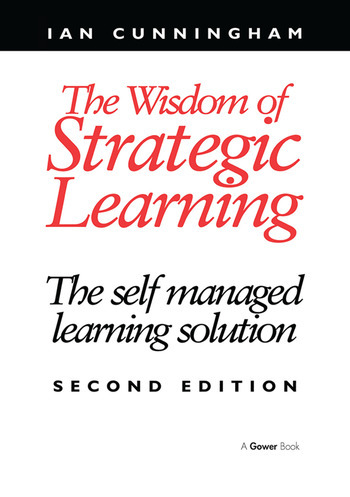 Part Four Self Managed Learning: Principles; Strategy and designs; Tactics and practice. Part Five Practice: Roles in learning and change; Developmental roles in practice; The learner in context; Conclusions and directions. Appendix I Research into SML; Appendix II Selling SML; Appendix III The Fielding Institute MA; Index. Ian Cunningham is Chair of Strategic Developments International Limited and the Centre for Self Managed Learning Limited. He is also on the Adjunct Faculty of the Fielding Institute in California and a Visiting Professor at Middlesex University. Ian works with organizations worldwide in areas such as team and people development, and large scale organizational change.